Police will be able to see websites people have visited but not the specific pages they have viewed without a warrant, under new government plans. Theresa May said the Investigatory Powers Bill will not have some "contentious" parts of the 2012 plan, dubbed a snooper's charter by critics. 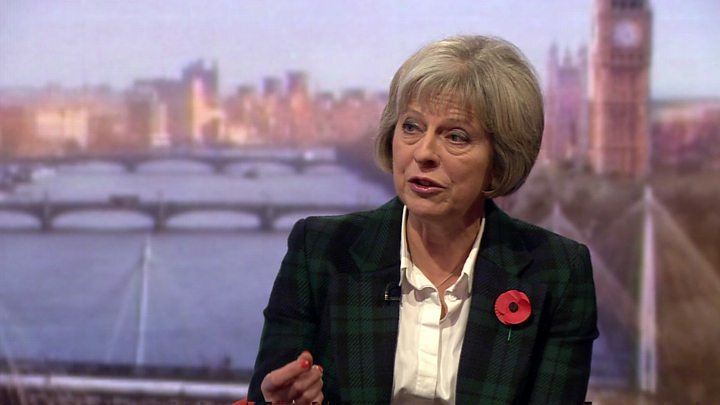 The home secretary told the BBC there would be "world-leading" oversight of warrants to access digital records. Labour said warrants should have to be approved by a judge, not politicians. The new security bill, to be presented to Parliament on Wednesday, is the latest in a series of attempts to update the law to allow police and security services to access communications data, as more and more takes place online rather than on phones. 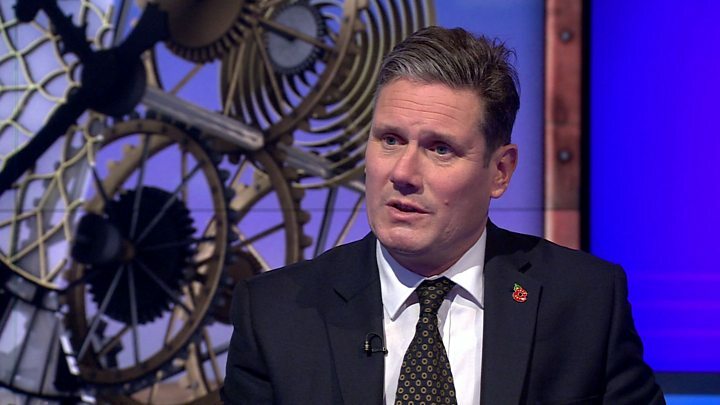 BBC political correspondent Ross Hawkins says that, crucially, police sources expect the new bill to require communication firms to retain data on website addresses for a year. This will mean existing powers allowing authorities to see which websites people have visited become practical to implement for the first time. Such data would consist of a basic domain address, and not a full browsing history of pages within that site or search terms entered. For example, police could see that someone visited www.bbc.co.uk - but not the individual pages they viewed. Mrs May told the BBC's Andrew Marr Show: "It doesn't have some of the more contentious powers that were in that (2012) bill. "So, for example we won't be requiring communication service providers from in the UK to store third-party data, we won't be making the same requirements in relation to data retention on overseas CSPs. "And crucially, we will not be giving powers to go through people's browsing history. That is not what the investigatory powers bill is about." She said she would set out the "very strong" oversight and "world-beating" authorisation arrangements for warrants to access more intrusive data when the Investigatory Powers Bill goes before MPs. Some of the more contentious powers proposed in the Coalition government's 2012 version of this bill have been removed after listening to industry figures and civil liberties' groups, Mrs May said. More than 1,400 warrants authorising more intrusive measures cross the home secretary's desk a year, and she sets aside several hours a day to consider them, she said. Ministers have looked at all the arguments about handing over this responsibility to independent judges and the decision will be announced on Wednesday, Mrs May added. "Encryption is important for people to be able to keep themselves safe when they are dealing with these modern communications in the digital age but we will be setting out the current position, which does enable the authorities with proper authorisation to issue warrants," she said. Former head of GCHQ Sir David Omand has called for internet firms to be forced by law to keep users' browsing history. He said such data was not for spying on the public but to see "for example, whether a suspect has downloaded a terrorist manual". Sir David, who was previously director of GCHQ - Britain's communications surveillance centre - said the new legislation did not need to grant "significant new powers". Shadow home secretary Andy Burnham said there was a "broad acceptance" that a new law was needed and warned against an "over-hysterical" reaction which could leave the UK with an outdated system. He and Sir Keir Starmer - former director of public prosecutions and current Labour shadow minister - said a judge should be in charge of allowing warrants, not a politician. Conservative MP David Davis agreed, saying: "It can't be the policeman in the office next door or a spook in the office next door and it can't be the home secretary. It's got to be independent." Without judicial authorisation, he said, he did not think the bill would get through Parliament. Former Liberal Democrat leader Lord Ashdown told Sky News's Murnaghan programme that Mrs May's comments suggested the "worst aspects" of the previous version of the bill had been diminished. But he warned that if the bill imposed blanket surveillance and did not have judicial oversight built in, the Lib Dems would seek to amend it in the House of Lords. Shami Chakrabarti, director of the civil rights group Liberty, said: "It's a traditional Home Office dance first to ask for the most outrageous, even impractical powers, so that the smallest so-called "concessions" seem more reasonable." She also criticised the government for failing to include measures that would require judges to be in charge of allowing warrants to gather private communications, and for not moving away from the "blanket collection of our private data". The emergence of encryption has been identified as a major headache for law enforcement bodies, with suggestions that it risks leaving them locked out of some areas of cyberspace. There has been major growth in the use of encrypted apps which encode messages in a way that makes it harder for a third party to intercept the content. With apps such as Apple's iMessage and WhatsApp, the service providers have no way to decrypt the messages users send. Instead, a technique called end-to-end encryption employed by the apps means that only the sender and recipient can see what was posted.